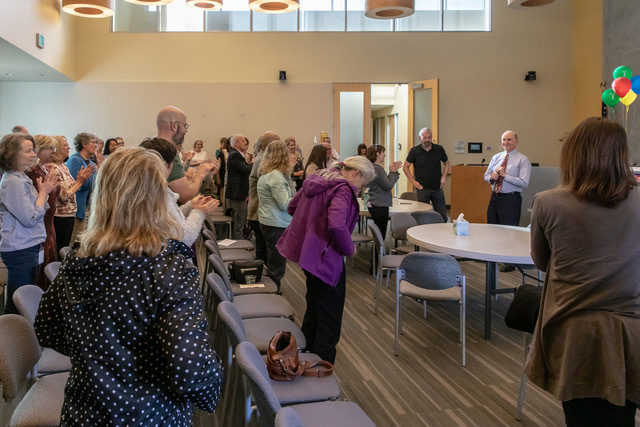 On Thursday, March 28, 2019, Rob Beem, Community Services Manager for the City of Shoreline, was honored with a gathering as he retires. Staff and community members filled the council chamber to say goodbye. Rob has worked for the City of Shoreline for 20 years. Before that, he spent 20 years at the City of Bellevue and City of Bellingham. An entire contingent of former coworkers from Bellevue were present. He doesn't have specific plans for retirement, but has mentioned the Grand Canyon!